Angry Gran Skater Run Kim is back in his MOST ANTICIPATED adventure ever to hit Android! Angry Gran Skater Run is #1 exciting skateboarding game on Google Play.Grab the board and get ready for a kick-flippin’ adventure now. 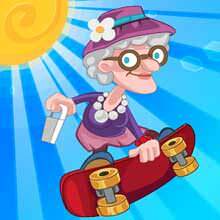 Angry Gran Skater Run wants to become a hollywood star like Kardashian so he needs the bones to grow more attractive. 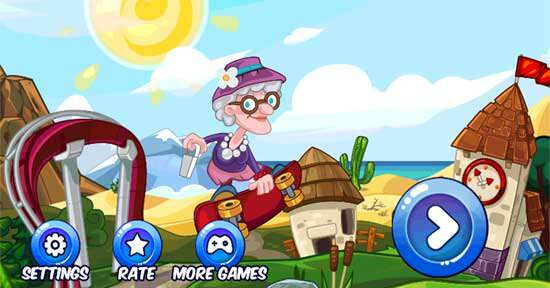 And it is your job to guide Angry Gran Skater Run shred through the obstacles to collect all the coins while on patrol. The more coins you collect the more points you score! And we are not affiliated or linked with in any way at all to the angry gran run trademark owner. This game application complies fully with US Copyright law guidelines of the “fair use”. 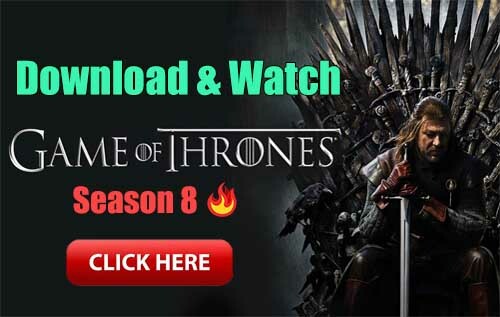 In case If you feel there is a direct copyrights or trademarks violation that does not fall within the “fair use” guidelines then in that case please contact us directly. This Game have no relation with angry gran run game, we are not the makers of the game and we don’t claim any relation with them.